Cand vrei sa faci o cafea doar pentru tine, aceasta cafetiera este perfecta. Produsul are un design modern. 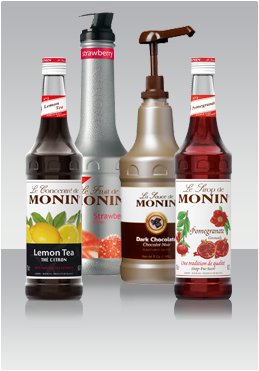 Do you like travelling but do not like the idea of leaving your tasty drip style coffee behind? You don't have to, not anymore. The practical one cup dripper from Hario, makes the big and expensive dripping machines unnecessary. If you are after a reliable dripper to brew coffee for 1 to 2 people, then the one cup dripper is ideal. 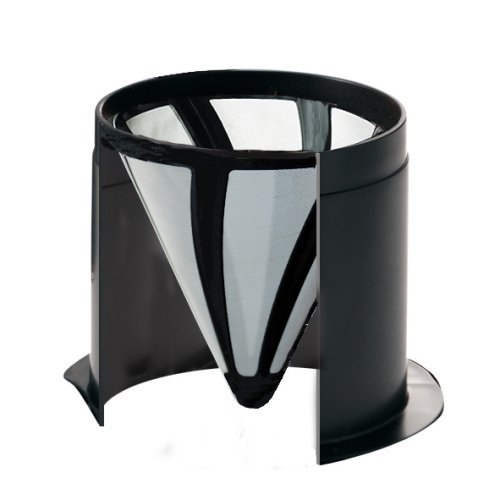 It has a permanent micro-mesh filter that never needs to be replaced, making your coffee brewing process even more cost-effective. 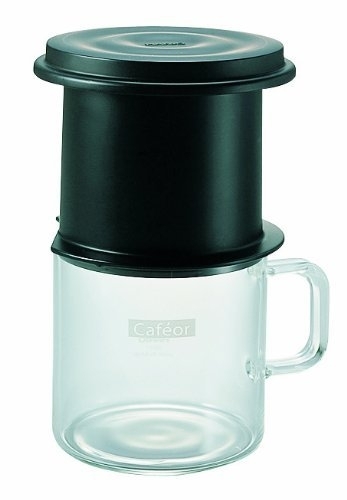 The unique filter can also be used to drip coffee on any cup. 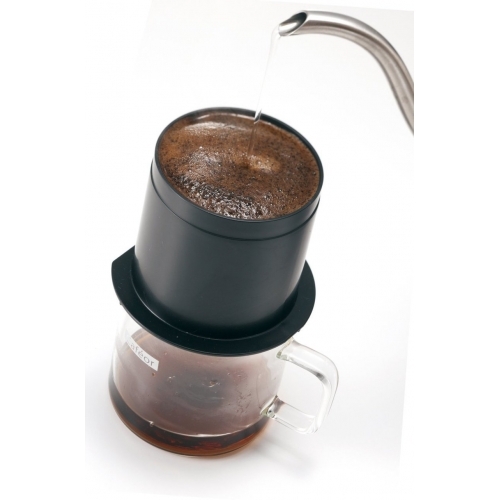 Made of borosilicate glass the one cup cafeor dripper is highly-durable. 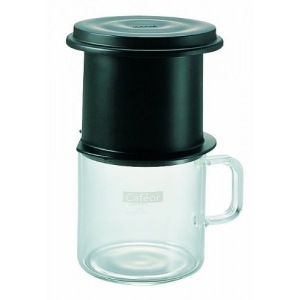 It has a compact design and the filter can be stored inside the cup. Save on filter replacements and enjoy drip style coffee anywhere you go. Using the convenient Hario Cafeor Dripper is easy. Add around 10 to 15 grams of your favourite grinded ground coffee into the the micro-mesh filter and pour-over hot water (ideally using the Buono V60 Kettle) to begin the brewing process. Once finished you will be able to enjoy the full-flavour of the coffee beans.